The crowded theatre came alive with excited whispers and laughter and the faint smell of popcorn wafting through the air. 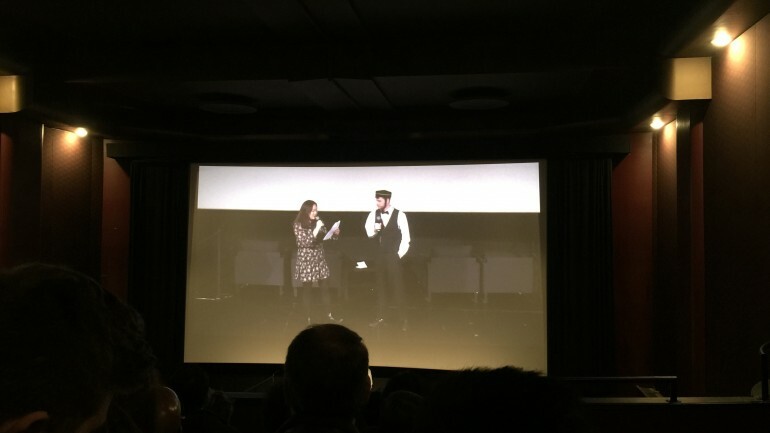 Students from Humber’s film and production program invited their friends and family to Hot Docs Cinema for their graduate film screening on Thursday night. The night showcased short films and commercials, celebrating the work of the 2018 graduating class. The students started to put these productions together in September, working as a crew to get the films and commercials complete. The films ranged from comedy to drama and even a foreign language film, some with aspects of Claymation and puppetry. All of the shorts and commercials allowed students the opportunity to work on location and with ACTRA actors, giving the students the full filmmaking experience. “Seeing that come to life after all of the struggle like the strike and everything, all the struggles it went through to see it finally like on screen, done, and something that we’re actually proud of, that was a big moment,” said film and production student Maddie Newall. Peppered between each of the films and commercials was a comedy interlude. The skit involved a student who was an usher during the event, missing the screening of his film despite all of his hard work. The interludes reminded the audience the festival is more than a showcase for those completing the program. It is their final project after having worked together for three years. It is an emotional time as they will be moving in different directions following graduation. The graduating class really came through. The audience responded with howls of laughter and vigorous cheers and applause.